Dynapac is proudly presenting its new visual product identity, consisting of 3 main colors: red, white and grey. The new colors support the future image and spirit of the Dynapac brand, underlining also the innovative character of its products, and the modern design lines. “- We are very proud of our new visual identity, it signals we are an independent brand with our own sales-channels, own technology and own product portfolio”, says Herman Matthyssen. 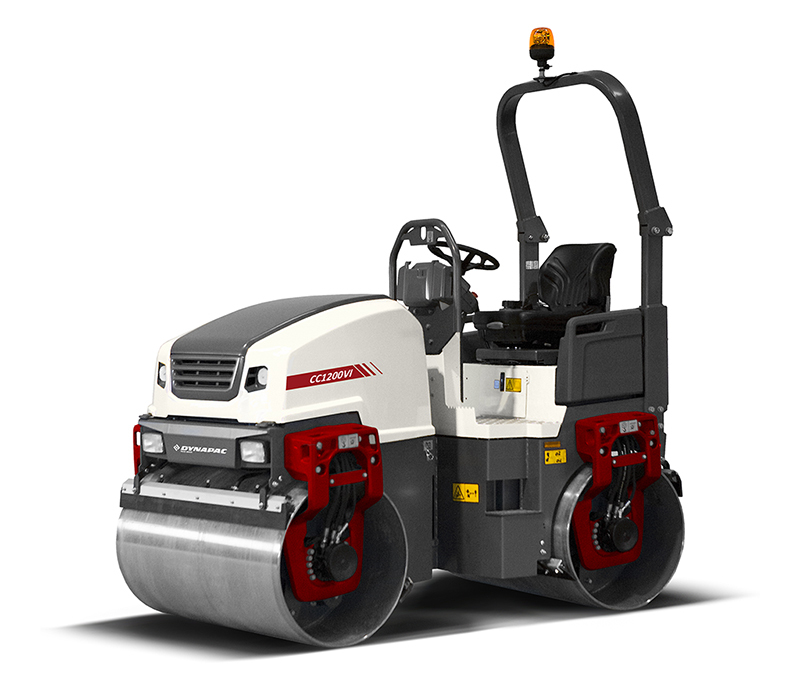 Simultaneously with the launch of the new visual identity, Dynapac is launching its new compact asphalt tandem roller, CC1100- 1200. The sixth generation of these rollers will immediately become available in the new colors scheme, from the very start. All other Dynapac products will have the new colors within soon as well, as Dynapac will keep the full implementation period short. “Our aim is to have all Dynapac products in the new colors before year-end, and that seems very realistic right now” Herman Matthyssen concludes.